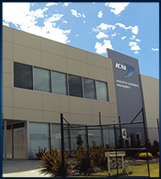 Located in Perth, Western Australia, Innovative Corrosion Management (ICM) is a corrosion consultancy group focused on the provision of innovative solutions to corrosion management issues. Systematic review of individual corrosion management scenarios enables ICM personnel to formulate refurbishment options based on a clear understanding of the service environment exposure and performance criteria of the asset being reviewed. ICM prides itself on the provision of pro-active corrosion management strategies that assist in the provision of methodologies for preventing the deterioration of structures by arresting the corrosion process before it becomes a scenario where re-active corrosion management strategies must be implemented. ICM understands that a client partnering approach is critical to the success of any given corrosion management strategy. Please contact us or browse our website for further information.